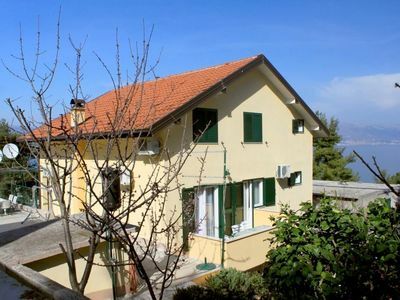 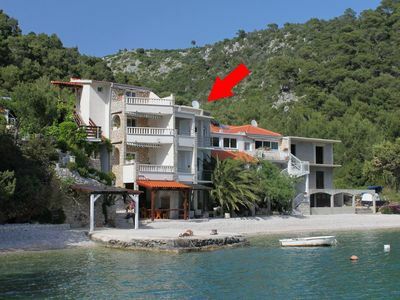 This beautiful and spacious holiday house on three floors is located near the sea in a nice area. 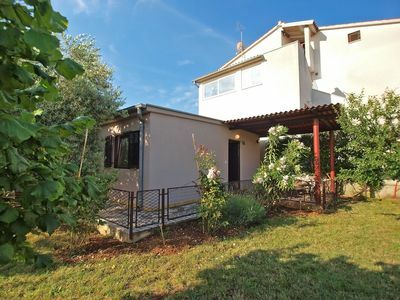 Friends and family can feel like at home in the comfortable and luxurious furnished interiors. 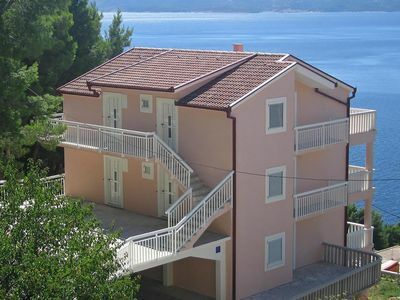 On the ground floor is a shared living room with kitchen and leisure room with sauna and jacuzzi. 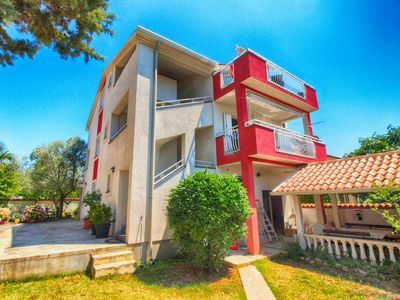 While on the upper two floors are four separate apartments where you can enjoy the important aspect of privacy. 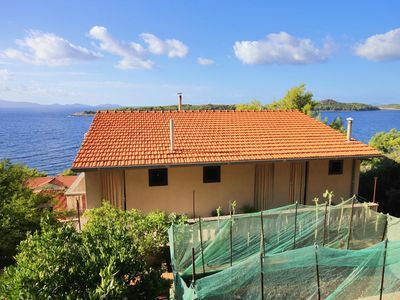 From the upper terraces you have a beautiful view of the sea. 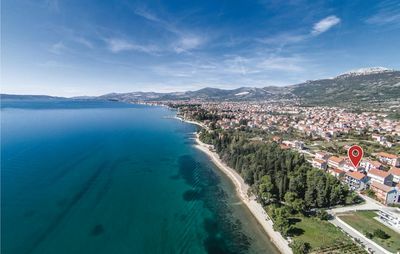 Refresh yourself from the summer heat on the nearby pebble beach or in the outdoor pool and sunbathe comfortably in the sun loungers on the chic terrace. 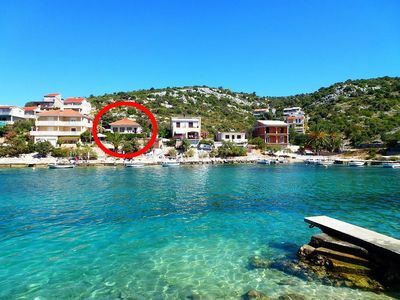 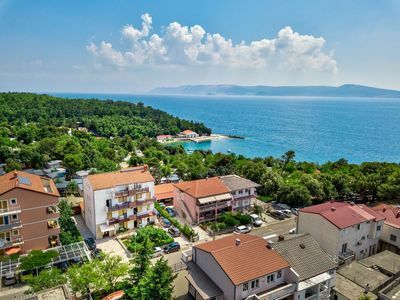 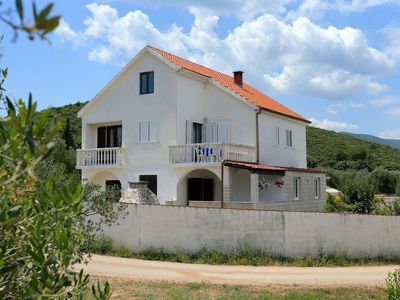 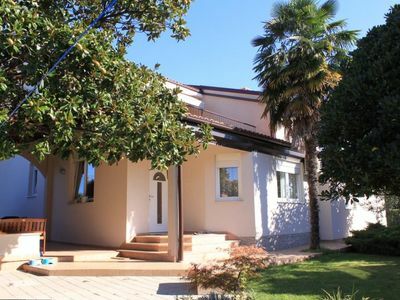 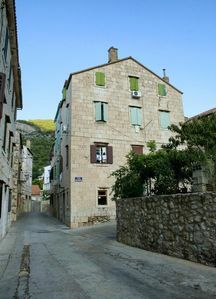 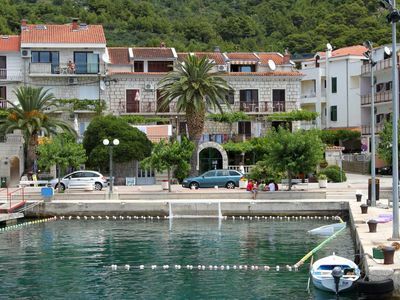 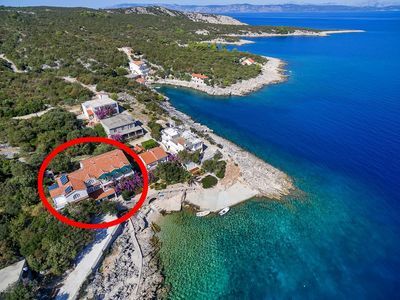 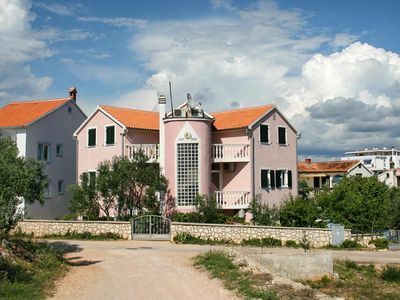 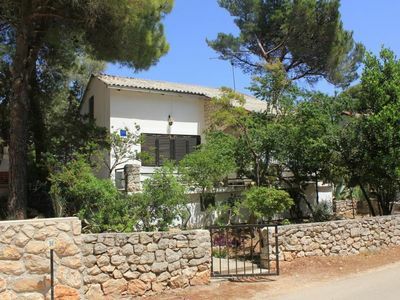 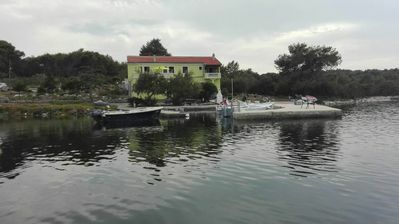 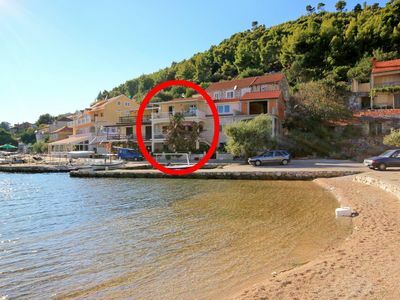 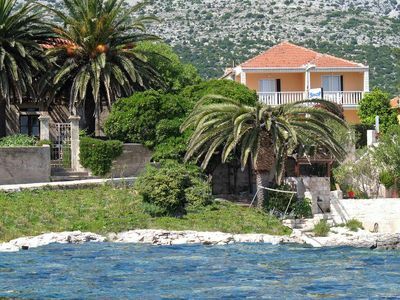 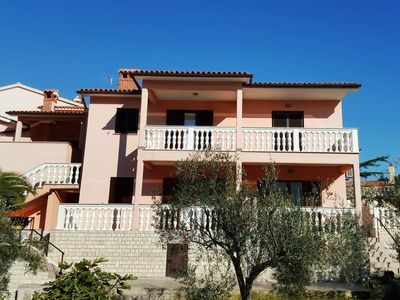 Beside the many top features of the dream house you have the ability through the convenient location, to visit the popular tourist towns such as Trogir and Split.